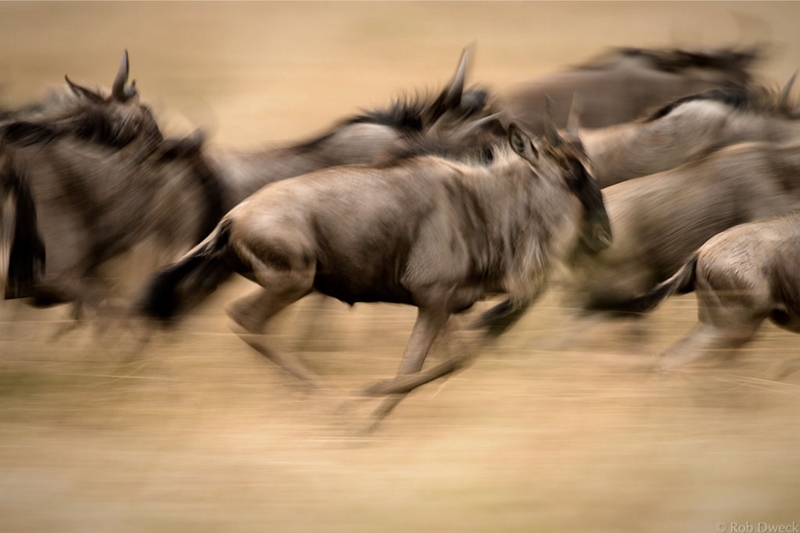 With fast-moving animals, a wildlife photographer must make a conscious choice: freeze or blur. Freeze delivers tack sharp images; blur delivers abstract images. Both are powerful and evocative, but most photographers seem to choose freeze over blur. Dweck’s photo illustrates why blur an equally valid, and often better, choice. Nothing says frenetic chaos quite like a great motion blur. Well executed, the animal is still recognizable but takes on an surreal, otherworldly quality. Well done!